A guide to Faculty library resources and services. Welcome to this LibGuide created for faculty at the Brandon Campus. Click on a tab at the top for information about library resources and services. Access to online resources (electronic databases, ebooks, etc.) requires a valid Borrower ID (your 7-digit employee ID#) and PIN (last 4 digits). Please check your access. 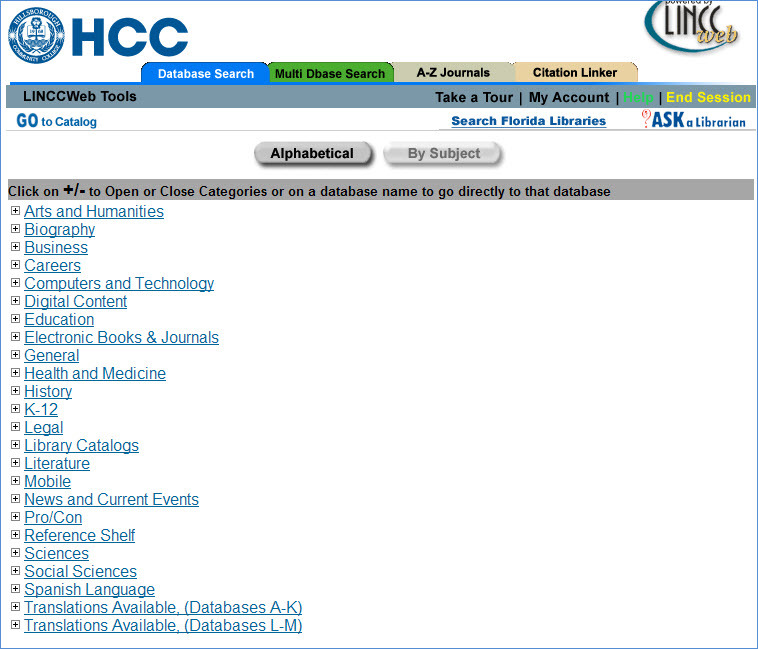 Click here to log in to HCC's research databases. See the picture below. If you are able to log in (looks like this), then all is well. If not, please contact us and we will fix the problem. Thank you! 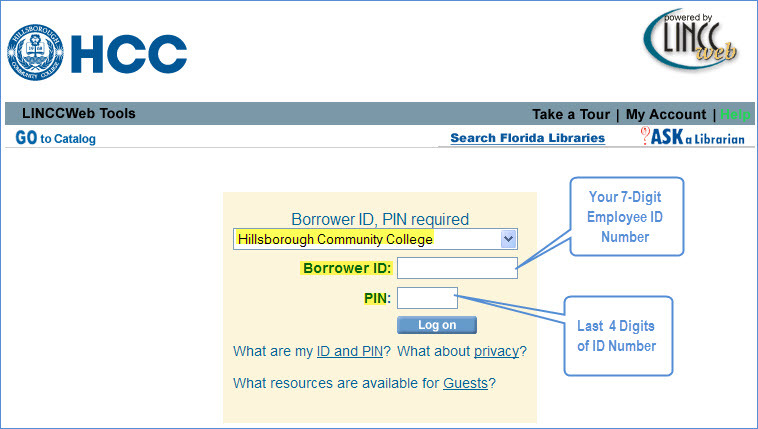 This LibGuide is adapted for the Brandon Campus from the Ybor City Campus LibGuide for Faculty Services.